The rugged, powered PVi 4B mixer features rotary controls to adjust level, reverb and tone on each channel and the master section, with a built-in power amp rated at 100 watts RMS into 4 ohms. 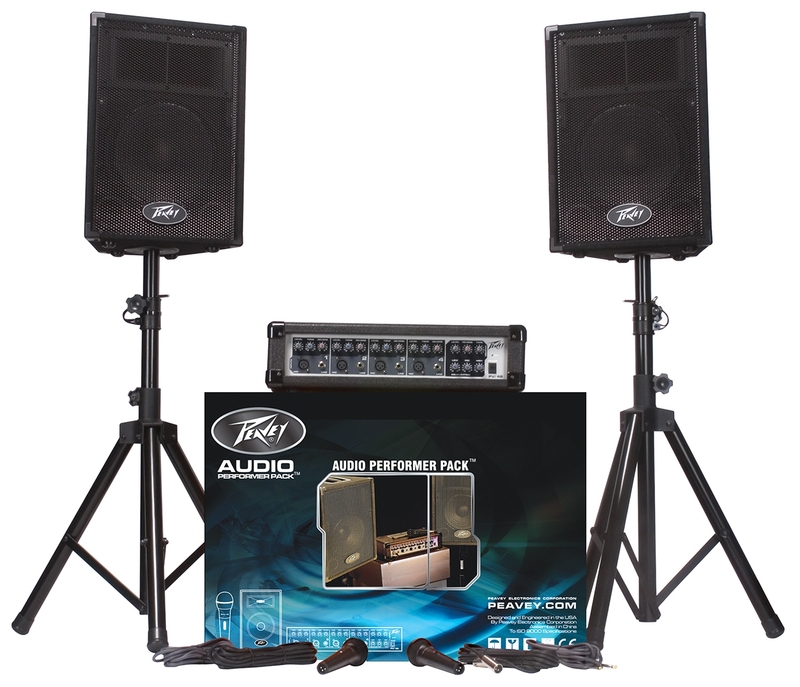 Its feature set also includes four balanced microphone and 1/4" TRS inputs, tape/CD input with level control, a line out for connection to external amplifiers and a record output. Rounding out the all-in-one P.A. solution are two PVi 100 dynamic cardioid microphones, two PVi 10 premium loudspeaker enclosures, a pair of adjustable speaker stands and cables for the microphones and speakers. The extensive PV Series product line includes every link in the audio chain, from loudspeakers, mixers and power amplifiers to processors, cables, microphones and accessories.